Bank on some chewable fun! This old school gumball machine doubles as a piggy bank. 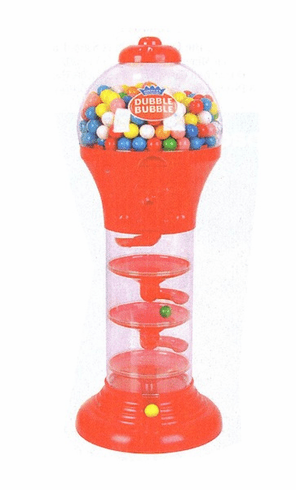 Includes approximately 155 gumballs.